I hope by now you have had your mad rush and are pretty well prepared for Christmas, and thus quite relaxed. Or even VERY relaxed, that would be even better!! I think I am just about there. I just have presents to wrap for the kids (when they are sleeping or something!). I don't usually receive anything handmade at Christmas, with the exception of one or two cards, from creative friends back in the UK. However, this year I have received a few beautiful handmade gifts. 2. Sleighs decorated by said little men! Finally here is a hand-made card I just made for someone pretty special! 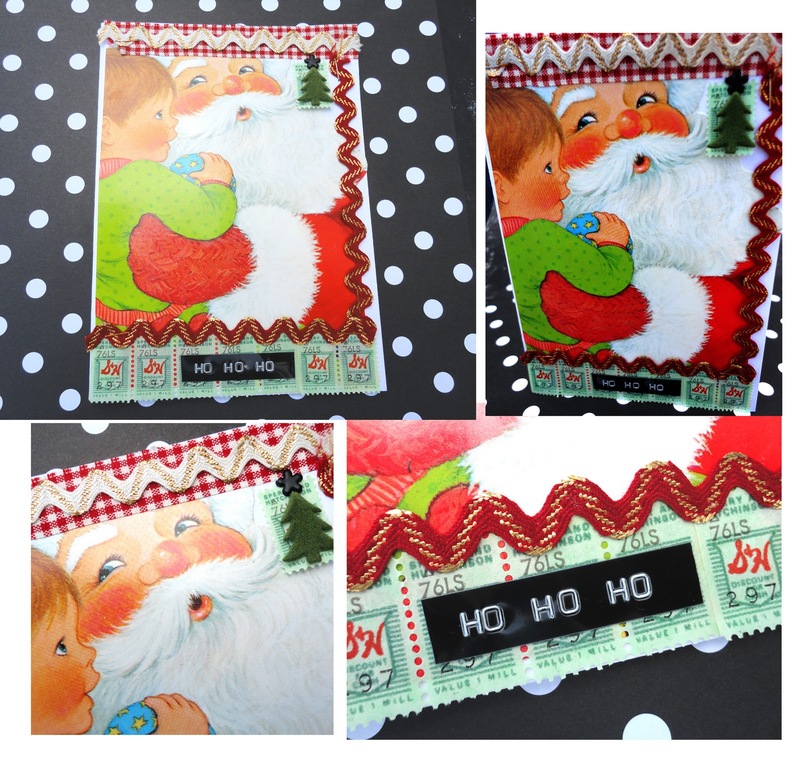 I used mostly vintage supplies to make it, including an old sixties Christmas card. Have you received anything handmade - or will you be making any Chrissy goodies to give as gifts yourself?? What will you bake for your families? Gingerbread house with a difference! 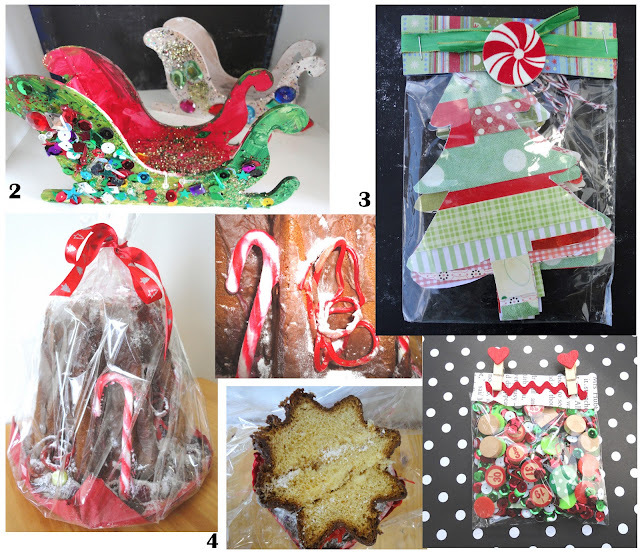 I have to suggest handmade goodies if I want to receive any, except for the usual made by the kids creations. I am STILL making felt playfood for my nieces and have bought quite a few handmade goodies (scarves, coasters, craft items, etc) to give to others for Christmas. i love receiving handmade goodies!! that Italian christmas cake is always a treat - our local italian deli always sells out!! have a beautiful ;aussie' Christmas!! !